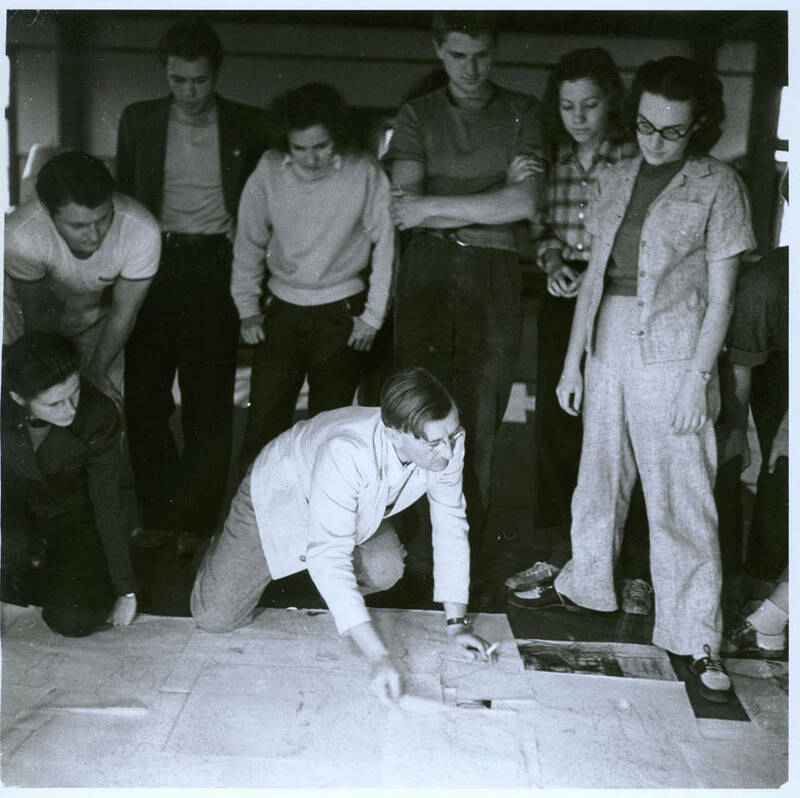 Josef Albers’ drawing class ca. 1939-40. Josef Albers’ drawing class ca. 1939-40. Left to right: Lisa Jalowetz, Bela Martin, Fred Stone, Betty Brett, Albers (kneeling), Robert de Niro, Martha McMillan, Eunice Shifris. Courtesy of Western Regional Archives.